The Media's ready for a Chris Christie comeback story. It isn’t taking long for journalists to remember they love this guy. At 11 a.m., New Jersey Gov. 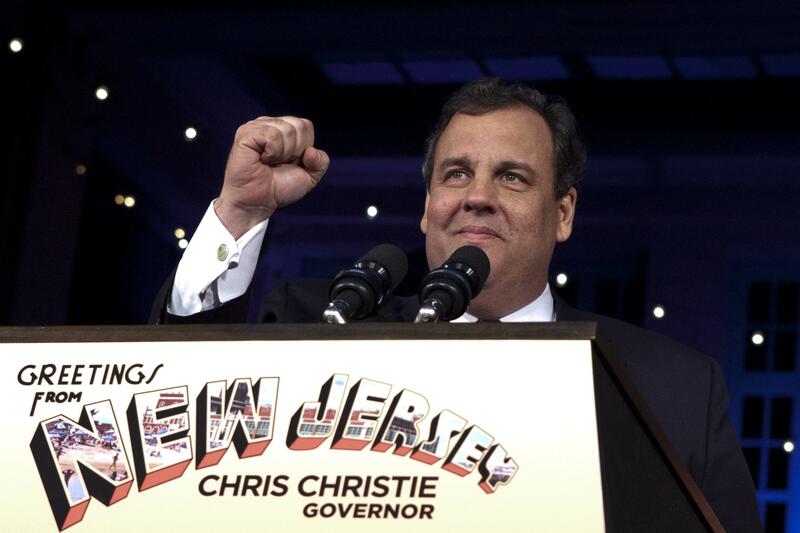 Chris Christie will hold a press conference about … well, you know what it’ll be about. Has Christie ever had a bad press conference? Apart from the ones where he blew off the idea that Fort Lee’s roads had been closed for political reasons (“I was working the cones”), which look weak in retrospect—no. All of the ingredients are there for a Christie Comeback story, as long as he fires some people. Instead of hiding behind spokesmen, lawyers, press releases and smug assertions, the New Jersey governor needs to apologize, accept responsibility, and release every document and electronic communication about the closures. He should call for an independent investigation and order his advisers to comply. Finally, he should do as I urged Obama to do last year: Clean house. Fire anybody who knew or should have known about the closures and replace them with people who will change the culture of his office. These charges are sticking to Christie because they fit so neatly into his office’s reputation for bullying and arrogance. All of those Morning Joe appearances have filled up a bank of good will between Christie and the press. Not the press that’s had to deal with him directly—no, the national press, the one that dreamily sketches a “post-partisan” presidential candidate every four or eight years. Until this week, Christie was collecting goo-goo headlines about his embrace of a state DREAM Act (“Chris Christie Just Made the Decision to Own Immigration Reform for 2016”). Right now, the stories about Christie’s rivals (in both parties) using this opportunity to run him down are being thought of, generally, the way Maggie Haberman describes in Politico. Any allegation against Christie that goes too far or doesn’t hold up will be used to discredit the broader case against him. Any number of other officials who lack Christie’s political skills have found reports of their demise to be exaggerated. A larger point of Haberman’s piece is that Christie, who has a healthy ego (manifested IRL by his security detail, which dwarfs those of other governors), has few allies. That’s a common theme in pre-comeback stories. Late last year Glenn Thrush asked whether the Obama White House could reboot with the arrival of John Podesta, explaining that the president’s circle was too insular, too insulated from mistakes. RedState’s Erick Erickson, “ambivalent” about Christie 2016, used the occasion to rattle off horror stories about how arrogant (he’d heard) Christie was. One congressman told me he wanted to talk to Christie about a matter and the staff would not put him through and would not even give him the Chief of Staff to talk to. A Governor told me that Christie’s staff treats incumbent governors as if they are low level staffers there to serve as Chris Christie’s advance team. A Chief of Staff of a Governor once told me that Christie’s staff began lecturing the Chief of Staff’s Governor about the set up of an event and what that Governor needed to say. Both the Chief of Staff and Governor were rather hacked off by the arrogant tone. Another senior staffer told me that after dealing with Christie for an event, they decided they’d rather focus on drawing celebrities for instate functions because the riders and demands of celebrities tend to be much easier to deal with. But that was at 1 p.m. By the end of the day, Erickson was echoing the conventional wisdom that Christie needs to sack some staffers and apologize, for then “he can point out that he has actually fired people, unlike President Obama.” It’s very easy to see that happening and, by Friday, the national pundits who liked Christie before were coming back to praise him. One problem: New Jersey Democrats still run the legislature and say there’s more to come. Unless this was as isolated a problem as Christie says it is—and pre-election reporting (last year) suggests otherwise—the Democrats have a whole year to find such stories.